With works inspired by a much-loved children’s book that are both politically and militarily themed, Seeing A Who – the new exhibition from Gateshead-based Michael Mulvihill and Pasadena, USA-based Elizabeth Saveri – explores big themes through the medium of miniature paintings and drawings, at Newcastle’s Vane Gallery from Wednesday 18th May until Sunday 12th June. The exhibition has derived its title from Theodore ‘Dr Seuss’ Geisel’s classic children’s book, Horton Hears A Who!. Written in 1954, the book was Giesel’s reaction to a visit to post-war Japan, where putting individual freedom before duty to the state had become a new concept. Geisel’s previously anti-Japan sentiments were radically turned around, and he used his book as an allegory for the American post-war occupation of the country. Taking the theme of “a person’s a person no matter how small”, the eponymous elephant Horton attempts to protect the lives of a microscopic creatures living on a speck of dust, despite the ridicule of his friends, ultimately telling a tale of acceptance and protection of the vulnerable. Mulvihill and Saveri have taken these themes for Seeing A Who, and repurposed them for the art world; making comment on the increasing spectacle of scale and production, the artists have sought to distance themselves from the upscaled nature of the art world. 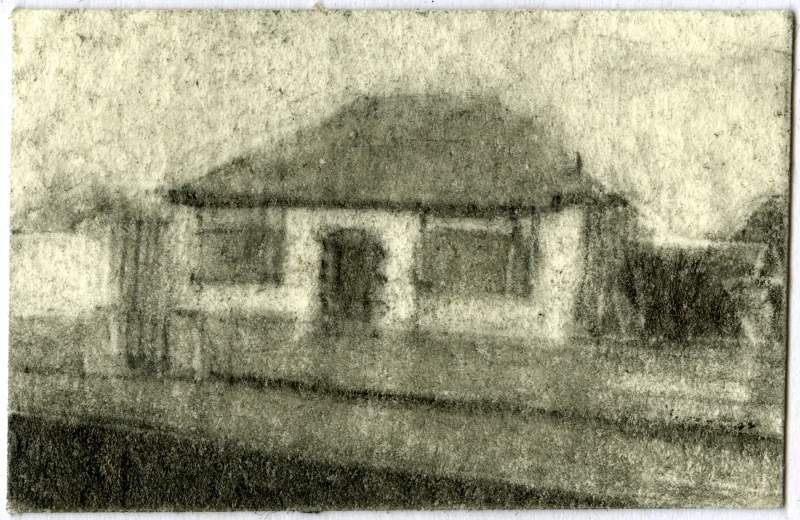 Mulvihill’s miniature drawings include urban landscapes, military installations, nuclear explosions and portraits of scientists and politicians; having drawn from childhood memories of the threat of nuclear war in the 1980s, Mulvihill’s The Means And The Instruments series of graphic drawings explore how the activities of militarism permeate the everyday environment. Saveri’s work also alludes to impending disaster, but instead concentrates on environmental catastrophes. Finding use for the humble plastic tags found on supermarket bread, her tiny oil paintings are painstakingly rendered. Seeing A Who is at Vane Gallery, Newcastle from Wednesday 18th May until Sunday 12th June, with a preview taking place as part of The Late Shows on Saturday 14th May.